The Book of Mormon prophet-priest Jacob cites the prophet Zenos as the source of the Allegory of the Olive Tree that he shares in Jacob 5. The quotations of Zenos’s prophecies throughout the Book of Mormon demonstrate that the writings of Zenos were popular among the Nephites. His words were likely present on the plates of brass that the family of Lehi possessed, although they are not found in the Old Testament today. “How, one wonders, could an important prophet like Zenos, if he ever existed, have simply dropped out of sight without leaving a trace of himself in the Bible or anywhere else?” This was the late BYU professor Hugh Nibley’s question in 1967 regarding the lack of direct reference to Zenos outside of the Book of Mormon. Nibley’s response to this mystery was to attempt to connect Zenos to a similarly-named figure found in some ancient Jewish religious texts. Nibley began with a text called Biblical Antiquities, attributed to an unknown author “Pseudo-Philo.” Though Biblical Antiquities was written around the time of Christ, it likely contains considerably older material. Biblical Antiquities gives a history of the Jews from the Creation to the destruction of Jerusalem. It includes stories about a great prophet-leader named Cenez. In some versions of the text, the name Cenez is spelled Zenec or Zenez (variants of the name Cenez). Pseudo-Philo makes a connection between this figure and the biblical character Kenaz, who lived between the time of the conquest of Canaan and Israel’s judges (Joshua 15:17; Judges 1:13; 1 Chronicles 4:13). This identifies Cenez as the first judge over Israel and attributes to him many words and deeds. Nibley determined that by comparing the words and deeds of Cenez in Biblical Antiquities to Zenos in the Book of Mormon, some interesting parallels might emerge. In 1994, BYU professor John W. Welch developed and highlighted these comparisons in his article, “The Last Words of Cenez and the Book of Mormon.” The following chart outlines several of the principal similarities. These parallels help to place the words of Zenos in a possible historical setting. However, after careful analysis, Welch concluded that a direct identification between Cenez and Zenos is not likely. What is more probable is that there was an earlier ancient source than the surviving story of Cenez which inspired the vineyard imagery found in the Book of Mormon. 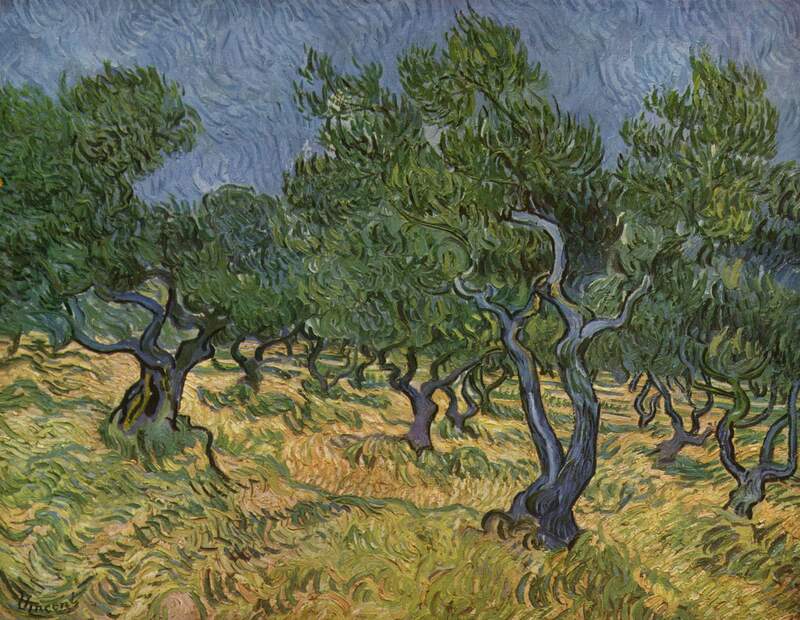 Interestingly, David Rolph Seely and John Welch go on to argue for the existence of a common ancient source standing behind the olive tree/vineyard imagery that is found in many places in the Old Testament. They note that in the Old Testament one can find the symbol of the olive tree, or vine (the two are sometimes used synonymously), used to describe Israel with either positive or negative connotations. Passages such as Exodus 15:17, 2 Samuel 7:10, Psalms 1:3; 52:8, Hosea 14:4—8, and Isaiah 4:2 focus primarily on the positive aspects of the Lord planting, taking care of, and blessing the tree. Others, such as Psalm 52:5; 80:15—16, Isaiah 5:1—7; 17:9—11; and Jeremiah 11:14—17 feature the uprooting, burning, destruction, and cursing of the tree. Both dimensions, of course, are found in Zenos’s extended allegory. Seely and Welch thus conclude that it is reasonable to postulate the existence of a fuller account of the olive tree allegory that predates most or all of these diverse and more partial uses. Although the evidence does not allow a firm conclusion with respect to the dating of the allegory of Zenos, the positive and negative dimensions of the Old Testament image of the olive tree are difficult to reconcile in these texts without assuming that a single paradigm (such as the allegory of Zenos) existed in ancient Israel utilizing both of these dimensions. Jacob 5 provides the full paradigm unifying the many scattered references in the Old Testament to the olive tree as an image for the house of Israel and illuminating what that image would likely have meant to an ancient Israelite audience. The ancient prophet Zenos provided a sweeping vision of the future of the House of Israel with his Allegory of the Olive Tree. The fact that the Lord provided Israel with this information through His prophet is a testament to His love and mercy. God knew that Israel would reject His teachings and that these choices would cause them to stumble and suffer. Through revelations such as the Allegory of the Olive Tree, the Lord made clear to Israel what would happen to them while at the same time offering them hope for how they could be redeemed to eventually reclaim their promised blessings through the work of the devoted servant who begged for patience and did the will of the Lord of the vineyard. Ancient prophets existed whose writings do not currently appear in today’s Bibles or in any other authentically surviving source. Many of these are mentioned in the text of the Bible itself, including the books of Shemaiah the prophet (2 Chronicles 12:15), Iddo the prophet (2 Chronicles 13:22), Jehu (2 Chronicles 20:34), and others. Similarly, there are ancient prophetic writings that are lost and may never be uncovered. The Allegory of the Olive Tree is a valuable piece of prophetic writing that was of great worth to the Nephite people. 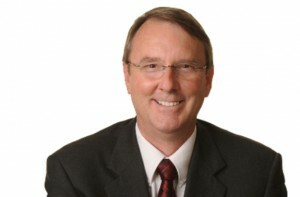 Although we do not have direct evidence for a prophet Zenos from texts outside of the Book of Mormon, it is possible to see the significant influence of his writings on Book of Mormon authors and potentially on other biblical authors as well. The Allegory of the Olive Tree serves as both a warning and a call to action for members of the Church today. It warns everyone in the household of faith against the dangers of apostasy. It graphically communicates the doctrine that the Lord will one day judge all mankind and separate the righteous from the wicked. It also informs all people that this is a great day of opportunity in which the servants of the Lord are called, for the last time, to labor with all diligence in the vineyard. This is the day for members of scattered Israel, even from the most remote parts of the world, to be reunited through God’s servant and thereby enjoy the blessings promised in God’s covenants with His beloved children. 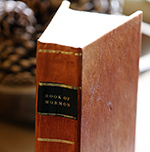 The fact that the remarkable writings of Zenos are contained in the Book of Mormon and that they present teachings as grand as the Allegory of the Olive Tree is a strong indication of the inspired origins of the Book of Mormon and that it truly restores to the world many “plain and precious” things that have long been lost. David Rolph Seely and John W. Welch, “Zenos and the Texts of the Old Testament,” in The Allegory of the Olive Tree: The Olive, the Bible, and Jacob 5, ed. Stephen D. Ricks and John W. Welch (Salt Lake City and Provo, UT: Deseret Book and FARMS, 1994), 322—346. 1 Nephi 19:10, 16; Jacob 5:1; 6:1; Alma 33:3, 13, 15; 34:7; Helaman 8:19; 15:11; 3 Nephi 10:16. Hugh Nibley, Since Cumorah (second edition; Salt Lake City and Provo, Ut. : Deseret Book and FARMS, 1981), 286. John W. Welch, “The Last Words of Cenez and the Book of Mormon,” in The Allegory of the Olive Tree, 309–312. Welch lists a more complete set of parallels between this ancient text and Jacob 4–6 than Nibley did in Since Cumorah. David Rolph Seely and John W. Welch, “Zenos and the Texts of the Old Testament,” in The Allegory of the Olive Tree: The Olive, the Bible, and Jacob 5, ed. Stephen D. Ricks and John W. Welch (Salt Lake City and Provo, UT: Deseret Book and FARMS, 1994), 322–346. Seely and Welch, “Zenos,” 343. When I was in college I took a History of Civilization class. The textbook for the course discussed the Hammurabi Code and identified a man named Zenos, a reformer, who called upon the people to adhere to the code. That would pre-date the time of Christ, and although Zenos was not identified as a religious leader, it seems to me there could be a connection.